The Alexis Classy elegnant Medical Id alert bracelet is classy and elegant. 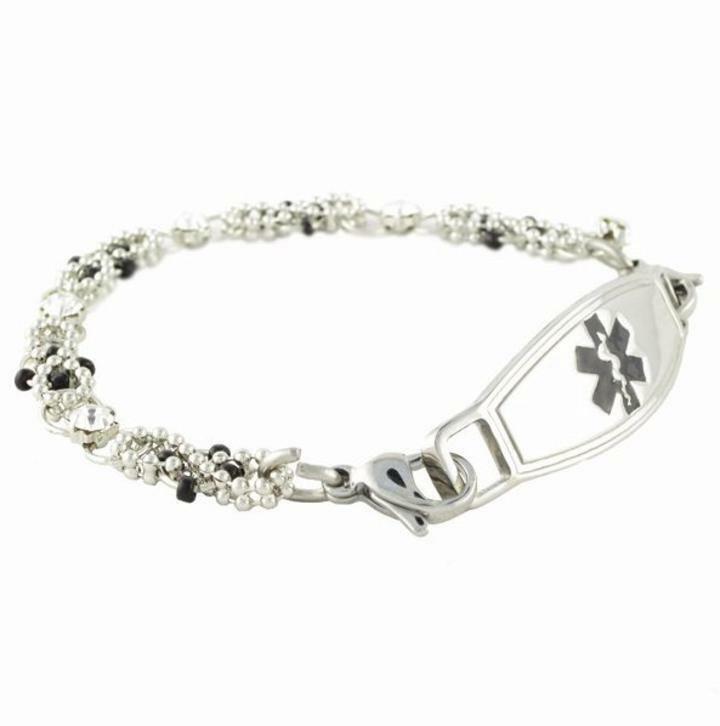 The chain is intertwined with sterling silver and black and clear crystals.The medical id aert plaque/ Tag can be interchanged with other beaded bracelets and some leather bands. Engraving is free and done in black laser. We HIGHLY suggest not wearing this in water, while showering, not intended for everyday all day wear. Note: Engraved items cannot be returned except when due to defect. Once placed, your order for these items cannot be cancelled.